Cities are the mirror of the changes and opportunities that the cohabitation between different worlds can offer all of us who live in them. 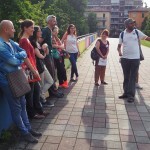 Bologna for its position, has always been a crossroads of people. Until 1700 it was the gateway to the East for the silk market. 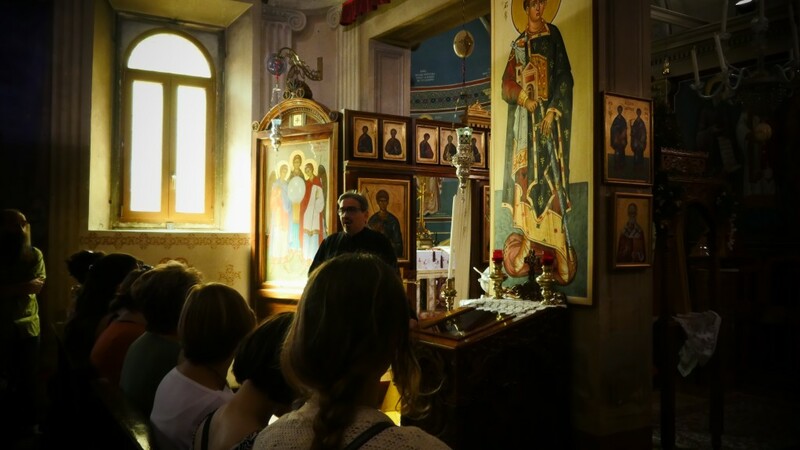 The contribution of generations of migrants who have crossed and continue to follow it, makes it unique, constantly changing, open to possibilities and faithful to tradition. 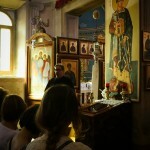 In its historic heart, in a crossroads of streets that embrace each other with a glance, the prayers of the Christian-Catholic communities, Eritrea-Copt, Greek Orthodox, Hebrew, Waldensian-Methodist resound. 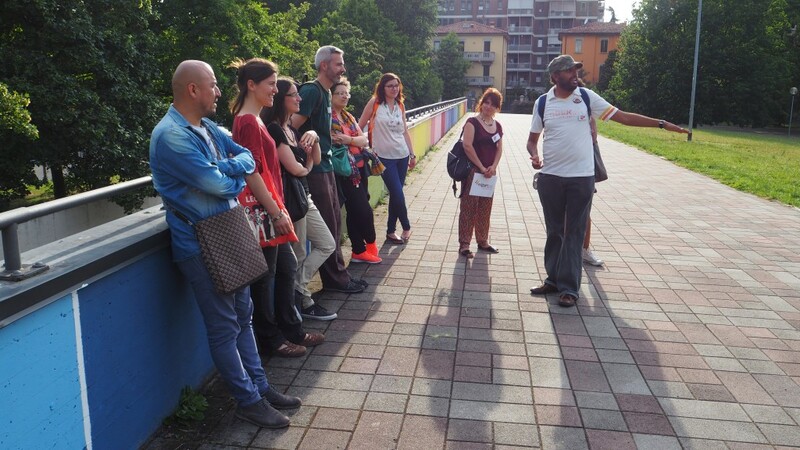 The Migrantour itineraries allow you to listen to the stories and see with other eyes the places where we move every day, making us protagonists of change, builders of a more aware society. Born in response to internal migratory flows, to accommodate the families of the working class, this district has always maintained the characteristic of being a mobile scenario. 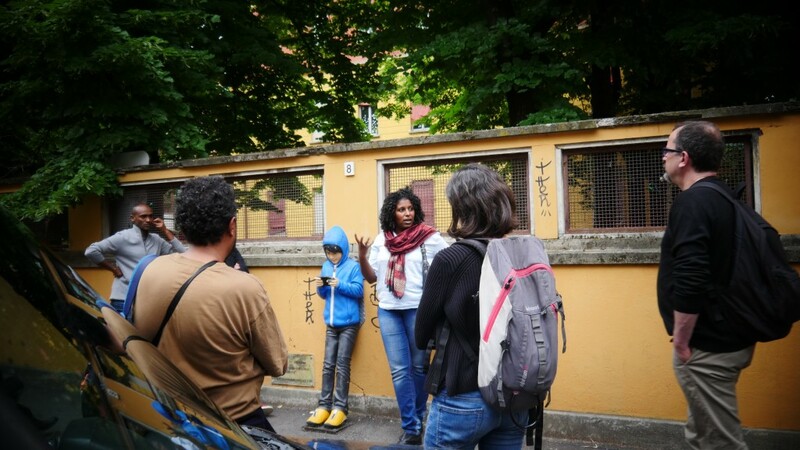 Walking through Piazza dell’Unità, the history of the Partisan Resistance intertwines with the stories of today’s migrants, often managers of businesses. In the same street you can find the classic tortellino shop right next to the halal butchery or Chinese restaurant. The memory of feeling at home has the scent of the spices of the Via Albani market, just a step away from the buildings of the new town, places frequented by old and new citizens. 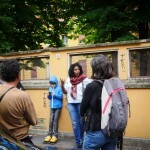 The itinerary leads us to discover the different cults in the historic center of Bologna. 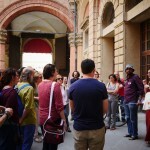 Starting from Piazza Maggiore, in a crossroads of little roads that wind from S. Petronio to Strada Maggiore, it is possible to meet the different cults and the communities that meet there. 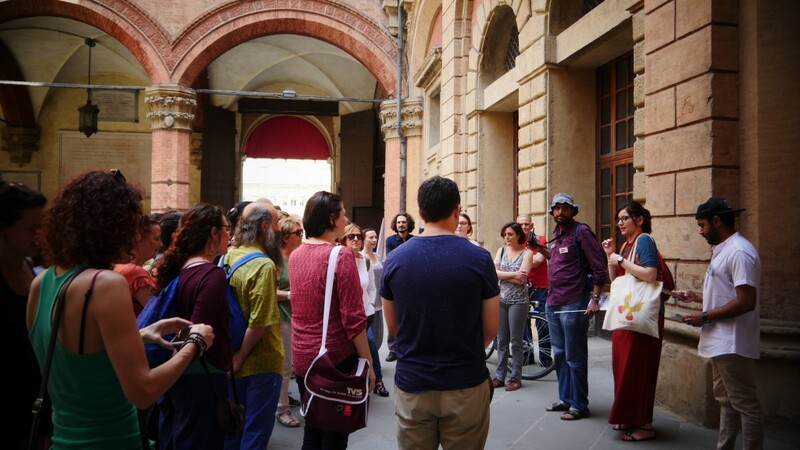 From the Synagogue to the Greek Orthodox Church, the Coptic Church, the Waldenses and the Islamic prayer hall, the heart of Bologna is a virtuous example of coexistence in difference. This itinerary is also available in the multisensory version as “Beyond the visible” and is designed for groups with hypo or blind people.